Can We Share Middlesex Fells? 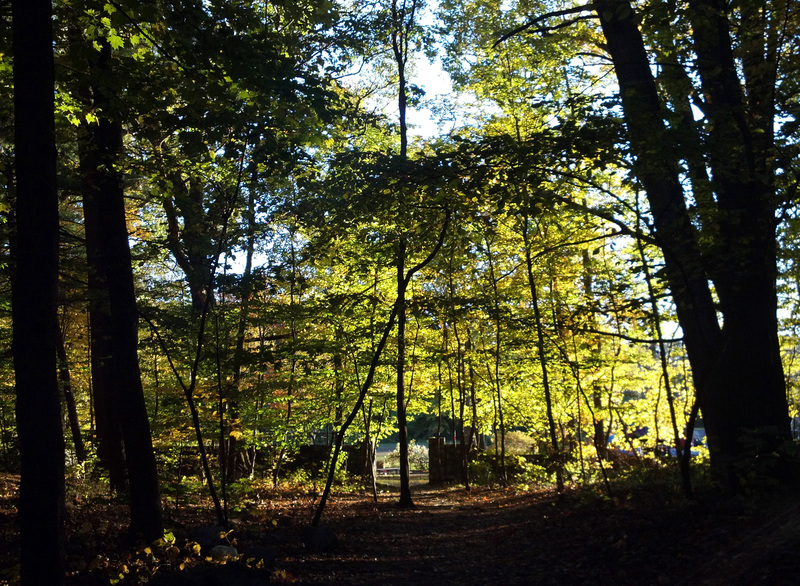 Located 8 miles from downtown Boston, Middlesex Fells provides a rare natural escape from the hustle of urban life. It is a popular retreat for hikers, dog walkers, and mountain bikers. The multiple uses of the Fells has become a source of conflict and reports of off-trail wandering, unfriendly dogs, and unruly bikers have led to animosity among the park-goers. In 2010, the Massachusetts Department of Conservation and Recreation (DCR) set out to address these conflicts and establish a clear set of rules for the park. Andrea Christenson (MCP ’11) was there to document the process. The DCR organized a public forum to discuss the uses that would and wouldn’t be allowed in the Fells, and quickly found itself the subject of an impressive lobbying effort on the part of groups representing the park’s different users. The hostility among groups made it hard to reach agreement, as hikers and mountain bikers traded barbs and op-eds about the destruction that the other group was causing to the park’s trails. Despite this, the DCR made an admirable effort to craft an agreement that worked for the various stakeholder groups invested in the Fells. The resulting draft Trail System Plan issued by the DCR tried to accommodate the multiple uses of the park and minimize opportunities for conflict among groups. The plan received a mixed welcome, and intentionally left no group fully satisfied. Hikers and their preservationist allies criticized the plan for failing to protect the park from destructive biking uses. Ultimately, DCR bowed to the political pressure that these groups were able to muster and chose not to implement the plan until a larger and more comprehensive Resource Management Plan could be completed. Andrea’s in-depth narrative offers a close-up view of the challenges that planners face when they try to reconcile the concerns of multiple stakeholder groups. The title of her thesis fittingly describes what so many planners and constituent groups have found to be the truth: “You Can’t Always Get What You Want.” Read more about the planning process at the Middlesex Fells in Andrea’s Thesis here. Posted on February 20, 2013, in environmental planning, land use and tagged parks. Bookmark the permalink. Leave a comment.